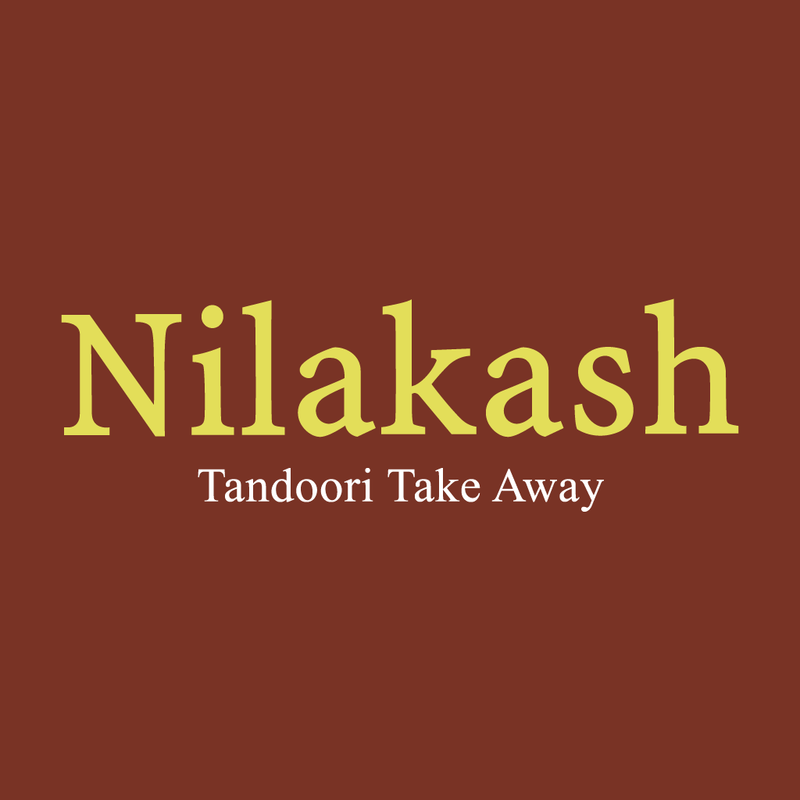 Free onion bhaji, salad & special mint sauce with orders over £14. (Please mention in the comments box on the next page to claim this offer). Popadoms, onion chutney, onion bhaji, chicken tikka, chicken rogan josh, meat bhuna, vegetable bhaji, pilau rice & naan. Popadoms, onion chutney, onion bhaji, mushroom pakora, chicken tikka, special curry, chicken rogan josh, meat dopiaza, vegetable bhaji, pilau rice & 2 naan. Popadoms, onions, chutney, onion bhaji, 1 seekh kebab, 1 chicken tikka, 1 mix kebab, 1 chicken tikka masala, 1 karahi chicken, 1 prawn rogan josh, 1 chicken masala, 1 mushroom bhaji, 2 pilau rice & 2 naan. 2 quarter pounder cheeseburgers, 2 chips & 2 cans of Pepsi or 7-Up. 2 x 12" medium pizzas, chips & 2 cans of Pepsi or 7-Up. Lamb, chicken tikka & seekh kebab. King prawn fried in herbs, spices & served on puri. Lamb tikka, chicken tikka, seekh kebab, onion bhaji & tandoori chicken (1 piece). Served in large containers with pilau rice. Marinated chicken tikka cooked in a tandoori oven then again cooked in a special sauce. The sauce in these dishes are made from yoghurt, coconut, almonds & other tandoori spices. Sweet with a creamy texture. Free poppadom. Marinated king prawns. Contains nuts. Chicken tikka, onion, green peppers & tomatoes cooked in a tandoori oven & then again in a special sauce. Contains nuts. Dry dish. Served with special salad, mint sauce & chips. Free poppadom. Fillet of spring chicken marinated in special herbs & spices over night then cooked in a tandoori oven on skewers. Mildly spiced, succulent king prawns. A combination of a quarter of tandoori chicken, chicken tikka, lamb tikka & seekh kebab. Marinated tikka with capsicum, tomatoes & onions cooked in a tandoori oven. Tandoori king prawns with capsicum, tomatoes & onions cooked in a tandoori oven. Served in large containers with pilau rice. Free poppadom. Tikka cooked in chefs special spices with Mr Naga (Very hot chilli). Tikka cooked with coconut, almond powder & cream glazed with honey topped with cashew nuts (Mild & contains nuts). Tikka cooked with onions, peppers, garlic & tomatoes combined with chefs special sauce (Medium). Tikka cooked in chefs special spices. Bhuna style garnished with fried potato strips (Medium). Chicken tikka cooked in a combination of chefs authentic eastern spices, sliced green chillies & lemon in a bhuna sauce. Lamb Tikka cooked in a combination of chefs authentic eastern spices, sliced green chillies & lemon in a bhuna sauce. Cooked with the chefs own spices. (Slightly hot). Chicken tikka cooked with a cream, coconut, cashew nut powder, cheese, cream & butter. (Mild & contains nuts). Chicken tikka cooked with cream, coconut, cashew nuts powder, cream & butter. (Mild & contains nuts). Chicken tikka cooked with potatoes & various other herbs & spices. Chicken tikka cooked with mince meat, tomatoes & coriander. (Fairly hot). Chicken tikka cooked with garlic, ginger, egg & fresh coriander. (Fairly hot). Chicken, prawns, meat & mushrooms cooked with spices & herbs. Prawns, chicken, meat & mushrooms cooked with spices & herbs mixed with pilau rice, nuts & sultanas garnished with tomato, egg & cucumber. Served with a vegetable curry sauce. Chicken cooked with mixed onions, green chillies & tomatoes. Cooked to a medium consistency. (Hot). Lamb cooked with mixed onions, green chillies & tomatoes. Cooked to a medium consistency. (Hot). Vegetables cooked with mixed onions, green chillies & tomatoes. Cooked to a medium consistency. (Hot). Specially prepared chicken cooked with nuts, almonds, coconut & fresh cream. Specially prepared lamb cooked with nuts, almonds, coconut & fresh cream. Specially prepared vegetables cooked with nuts, almonds, coconut & fresh cream. Tikka cooked in special spices & topped with special tomatoes. Chicken tikka bhuna on special egg pilau rice. Lamb tikke bhuna on special egg pilau rice. King prawns cooked with garlic, tomatoes, chilli, coriander. (Medium to hot). Chicken tikka cooked with chickpeas. Lamb tikka cooked with chickpeas. Specially prepared with herbs, cream, mango, coconut & almonds. Chicken tikka & lamb tikka cooked with mushrooms, onions, coriander & spices. Chicken tikka, lamb tikka & king prawn cooked with onions, coriander & special spices. Chicken tikka, lamb tikka & boiled egg cooked with onions, capsicum, coriander & spices. Specially cooked with mixed pickle. Chicken tikka cooked with fresh garlic, fresh cream, chillies & herbs in a thick sauce. Lamb tikka cooked with citrus fruit, onions, garlic, spices & herbs. Chicken tikka cooked with citrus fruit, onions, garlic, spices & herbs. Chicken tikka cooked with garlic, ginger, herbs, peppers with nehari spices. Lamb tikka cooked with garlic, ginger, herbs, peppers with nehari spices. Chicken tikka cooked with coconut, yoghurt, mango chutney & special saffron. Chicken tikka, lamb tikka, king prawn, mushrooms cooked with onions, tomatoes, dhaniya & chefs own spices. Specially prepared fried onions, green peppers & chopped green chillies & spices. Chicken cooked with piri piri spices & herbs. Delicately cooked with onions, garlic, peppers, fresh coriander & tomatoes in an Indian style wok. Served in a large container with pilau rice. Free poppadom. Chicken tikka, lamb & kebab cooked in a special sauce with herbs & spices. Of central Asian origin, rich in taste consisting of pilau rice treated together in spiced oil with sultanas & coconut. Served with a vegetable curry. These mixed dishes have a unique taste & are cooked with fresh vegetables (Subject to availability). The dish is of medium strength but can be changed on request. To make your dish large simply click 'Select Extras' in your cart. A delicate blend of ground spices cooked to an authentic balti sauce for each individual dish. Served in large containers with pilau rice. Free poppadom. Cooked in butter with aromatic spices, fresh cream & almonds. This mild variation will be enjoyed by everyone. Chicken tikka, lamb tikka & kebab cooked in a special sauce with herbs & spices. Prepared with lentils, tomatoes, dried red chillies. A spicy hot variation will be enjoyed by the adventurer. A wonderful combination of fresh vegetables, lentils & spinach. Originating from Bangladesh a medium hot dish cooked with spinach, split lentils, tomatoes & capsicum. A fairly hot dish cooked with potatoes, herbs & spices. An original sylheti homemade dish from Bangladesh cooked with green beans, tomatoes, egg & mixed special spices & garlic. A fairly hot dish cooked with strong spices & garlic, garnished with fresh tomatoes, onions, herbs & spices. (Medium) A combination of spices cooked together to give a dish of medium strength & moist consistency. (Medium) This is a characteristically flavoured dish derived from the use of tomatoes & onions. A maximum quantity of onions briskly fried with a variety of spices, dhaniya & herbs. (Very mild) A combination of delicate spices, creamed coconut, producing a very mild but rich flavour. Contains nuts. (Mild) Special spices, herbs & pineapple. (Mild of Persian origin) A beautiful combination of spices with lentils, garlic, pineapple & cream producing a sweet & sour taste. (Medium) Cooked with various spices, tomato & banana. (Slightly hot) Highly spiced curry prepared with a special blend of garam masala, onions, tomatoes & fresh dhaniya. (Sour & hot) Garlic, onion, tomato puree & red chilli. (Fairly hot) Cooked with a slice of lemon, coconut powder & fresh coriander. Onion chutney, mango chutney, miced pickle & mint sauce. Lamb tikka, chicken tikka & donner meat. Seekh kebab, chicken tikka, lamb tikka & donner meat. Donner meat & citrus fruit pickle. (Spicy). Topped with hot chilli sauce. With 2 fries & a bottle of Coca-Cola. Mozzarella cheese, tomato sauce, pineapple & ham. A little bit of everything with lots of love. Mozzarella cheese, tomato sauce, hot pepperoni sausages, green peppers, onions & chillies. Mozzarella cheese, tomato sauce, onions, mushrooms, peppers, sweetcorn & fresh tomatoes. Mozzarella cheese, tomato sauce, tuna & onions. Mozzarella cheese, tomato sauce, tikka, fresh tomatoes, onions & herbs. Tomato, cheese, mushrooms, chicken, garlic & green peppers. (Asian Style) Chicken, keema & donner. (Folded pizza) Mozzarella cheese, tomato sauce, ham, garlic sausage, salami, mushrooms & pepperoni. Excellent food and a great choice. Delivery is usually longer than the stated time and can be over an hour at times. Convenient to use but make sure to place your order well in advance . Always on time quality excellent nice natter at the door what else can you ask for. Really nice staff in shop or by car delivery. Try them.